For almost a half-century, Magma has influenced dozens of bands (Univers Zero, Art Zoyd, etc. ), spun off several others (Weidorje, Zao, etc. ), invented their own language (Kobaian), and created a unique category of music (Zuehl). While they were not the first jazz/rock-oriented group to combine those influence with classical music, their remain one of most notable and idiosyncratic. Count me amongst the few Magma fans who prefers the version of the band that emerged in the late 1990’s over that of the original, classic lineup on the early 1970’s. That said, if you’re still reading, this new EP is still well-worth your time and money. 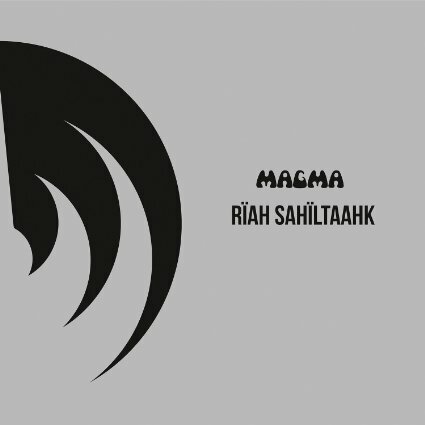 Apparently, Magma’s leader, Christian Vander, was never satisfied with the original 21-minute arrangement of Rïah Sahïltaahk that appeared on 1971’s 1001 Degrees Centigrades. Thus, over 40 years later, he has set out to rectify the situation. I was heartily saddened by the sudden unexpected phone call: downtown’s unsung hero of Free Jazz, Will Connell, Jr., was hospitalized and non-responsive. Immediately the jazz and new music community rallied and the outpouring of love for Will was apparent. We’d all been preparing for his big moment at the front of the stage, his week-long residency at the Stone, set to occur in December. None of this made sense yet one day later, November 19, the hush of mourning closed out all else; the little giant was lost to us.